WOMEN’S HISTORY MONTH — “PATTI LABELLE” – SINGER & DIVA!!!! Patti LaBelle (born Patricia Louise Holte; May 24, 1944) is an American singer, actress, and entrepreneur. LaBelle began her career in the early 1960s as lead singer and front woman of the vocal group, Patti LaBelle and the Bluebelles. Following the group’s name change to Labelle in the early 1970s, they released the iconic disco song “Lady Marmalade” and the group later became the first African-American vocal group to land the cover of Rolling Stone magazine. After the group split in 1976, LaBelle began a successful solo career, starting with her critically acclaimed debut album, which included the career-defining song, “You Are My Friend“. LaBelle became a mainstream solo star in 1984 following the success of the singles, “If Only You Knew“, “New Attitude” and “Stir It Up“, with the latter two crossing over to pop audiences and becoming radio staples. Less than two years later, in 1986, LaBelle scored with the number-one album, Winner in You and the number-one duet single, “On My Own“, with Michael McDonald. LaBelle eventually won a 1992 Grammy for Best Female R&B Vocal Performance for her 1991 album, Burnin’, followed by a second Grammy win for the live album, Live! One Night Only. Her 1990s albums, Burnin’, Gems (1994) and Flame (1997), continued her popularity with young R&B audiences throughout the decade. Following the release of two mildly receptive solo albums in the early new millennium, she reunited with her Labelle band mates for the album, Back to Now, followed by a briefly well received promotional tour. LaBelle’s success has extended as an actress with a notable role in the film, A Soldier’s Story, and in TV shows such as A Different World and American Horror Story: Freak Show. In 1992, LaBelle starred in her own TV sitcom, Out All Night. A decade later, LaBelle hosted her own lifestyle TV show, Living It Up with Patti LaBelle on TV One. In 2015, LaBelle took part in the dance competition, Dancing with the Stars. In a career that has spanned fifty years, she has sold more than 50 million records worldwide. LaBelle has been inducted into the Grammy Hall of Fame, the Hollywood Walk of Fame, and the Apollo Theater Hall of Fame. LaBelle was included in Rolling Stone on their list of 100 Greatest Singers. LaBelle is commonly identified as the “Godmother of Soul” LaBelle is a dramatic soprano and is noted for her vocal power, range and emotive delivery. She also has a cake named “Patti LaBelle’s Fancy Cake“. LaBelle was born Patricia Louise Holte on May 24, 1944 in the Eastwick section of Southwest Philadelphia, Pennsylvania. She was the second youngest child of Henry and Bertha Holte’s three children, and the next-to-youngest of five children overall. Her siblings were Thomas Hogan, Jr. (b. 1930), Vivian Hogan (1932-1975), Barbara (1942-1982) and Jacqueline “Jackie” (1945-1989). Her father was a railroad worker and club performer and her mother was a domestic. Despite enjoying her childhood, LaBelle would later write in her memoirs, Don’t Block the Blessings, that her parents’ marriage was abusive. Shortly after her parents’ divorce, when Patti was twelve, she was sexually molested by a family friend. Patti joined a local church choir at the Beulah Baptist Church at ten and performed her first solo two years later. While she was growing up, she listened to secular music styles such as R&B and jazz music as well. When she was sixteen, she won a talent competition at her high school, John Bartram High School. This success led to Patti forming her first singing group, the Ordettes, in 1960, with schoolmates Jean Brown, Yvonne Hogen and Johnnie Dawson. The group, with Patti as front woman, became a local attraction until two of its members left to marry, while another was kicked out of the group by her religious father. In 1962, the Ordettes included three new members, Cindy Birdsong, Sarah Dash and Nona Hendryx, the latter two girls having sung for another now defunct vocal group. That year, they auditioned for local record label owner Harold Robinson. Robinson agreed to work with the group after Patti began singing the song “I Sold My Heart to the Junkman“. Initially Robinson was dismissive of Patti due to his feeling Patti was “too dark and too plain”. Shortly after signing them, he had them record as the Blue Belles and they were selected to promote the recording of “I Sold My Heart to the Junkman”, which had been recorded by The Starlets, but was assigned as a Blue Belles single due to label conflict. The Starlets’ manager sued Harold Robinson after the Blue Belles were seen performing a lip-synching version of the song on American Bandstand. After settling out of court, Robinson altered the group’s name to “Patti LaBelle and The Blue Belles”. Initially, a Billboard ad cited the group as “Patti Bell and the Blue Bells”. In 1963, the group scored their first hit single with the ballad “Down the Aisle” which became a crossover top 40 hit on the Billboard pop and R&B charts after King Records issued it. Later in the year, they recorded their rendition of the “You’ll Never Walk Alone“; the single was later re-released on Cameo-Parkway Records where the group scored a second hit on the pop charts with the song in 1964. Another charted single, “Danny Boy“, was released that same year. In 1965, after Cameo-Parkway folded, the group moved to New York and signed with Atlantic Records where they recorded twelve singles for the label, including the mildly charted singles “All or Nothing” and “Take Me for a Little While”. The group’s Atlantic tenure included their rendition of “Over the Rainbow” and a version of the song “Groovy Kind of Love“. In 1967, Birdsong left the group to join The Supremes and by 1970 the group had been dropped from Atlantic Records as well as by their longtime manager Bernard Montague. That year, Vicki Wickham, producer of the UK music show, Ready, Steady, Go, agreed to manage the group after Dusty Springfield mentioned signing them. Wickham’s first direction for the group was for them to change their name to simply Labelle and advised the group to renew their act, going for a more homegrown look and sound that reflected funk, rock and psychedelic soul. In 1971, the group opened for The Who in several stops on the group’s U.S. tour. Labelle signed with the Warner Music imprint, Track Records, and released their self-titled debut album in 1971. The record’s psychedelic soul sound and its blending of rock and soul rhythms was a departure from the group’s early sound. That same year, they sang background vocals on Laura Nyro‘s album, Gonna Take a Miracle. A year later, in 1972, the group released Moon Shadow, which repeated the homegrown gritty sound of the previous album. In 1973, influenced by glam rockers David Bowie and Elton John, Wickham had the group dressed in silver space suits and luminescent makeup. After their third successive album, Pressure Cookin’, failed to generate a hit, Labelle signed with Epic Records in 1974, releasing their most successful album to date, with Nightbirds, which blended soul, funk and rock music, thanks to the work of the album’s producer, Allen Toussaint. The single, “Lady Marmalade“, would become their biggest-selling single, going number one on the Billboard Hot 100 and selling over a million copies, as did Nightbirds, which later earned a RIAA gold award, for sales of a million units. In October 1974, Labelle made pop history by becoming the first rock and roll vocal group to perform at the Metropolitan Opera House. Riding high on the success of “Lady Marmalade” and the Nightbirds album, Labelle made the cover of Rolling Stone in 1975. Labelle released two more albums, Phoenix and Chameleon in 1975 and 1976 respectively. While both albums continued the group’s critical success, none of the singles issued on those albums ever crossed over to the pop charts. By 1976, Patti, Nona and Sarah began arguing over the group’s musical direction. Personal difficulties came to a head during a show of December 16, 1976 in Baltimore, Maryland where Nona Hendryx went backstage and injured herself during a nervous breakdown. Following the incident, LaBelle advised the group to separate. Signing a solo contract with Epic Records in 1977, she recruited David Rubinson, producer of Chameleon, to record her self-titled debut album, which was released that year. The album was noted for the disco hits, “Joy to Have Your Love” and “Dan Swit Me” and the gospel ballad, “You Are My Friend“, the latter song becoming her first career-defining single despite its low entry on the R&B chart. Three more albums were released in succession on Epic through 1980, with the songs “Eyes in the Back of My Head”, “Little Girls”, “Music is My Way of Life”, “Come What May”, “Release (The Tension)” and “I Don’t Go Shopping“, the latter song co-written by Peter Allen, being the most successful. After four albums on Epic, LaBelle signed with Philadelphia International Records where she recorded her career-defining version of “Over the Rainbow” on the album The Spirit’s in It. In 1982, she was featured on the Grover Washington duet “The Best Is Yet to Come“, and earned accolades that year for starring in the Broadwaymusical Your Arms Too Short to Box with God. “The Best Is Yet to Come” later earned LaBelle her first Grammy Award nomination. In 1983, LaBelle released her breakthrough album I’m in Love Again which included her first top ten R&B singles, with “Love, Need and Want You” and “If Only You Knew“, the latter song also becoming her first number-one single as a solo artist in early 1984. Later in 1984, she scored another hit with Bobby Womack on the song “Love Has Finally Come at Last” and appeared as a club singer in the film A Soldier’s Story. In 1984, LaBelle recorded the songs “New Attitude” and “Stir It Up” for the soundtrack to the Eddie Murphy film, Beverly Hills Cop. 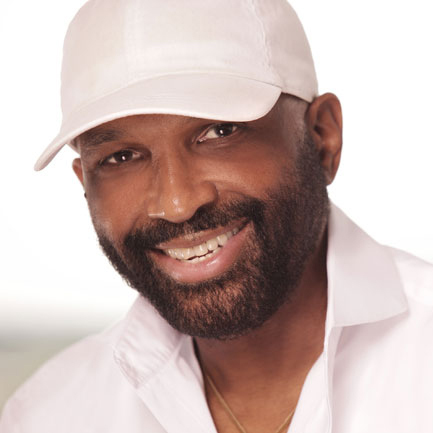 Following the release of the film, “New Attitude” was released as a single in late 1984 and became LaBelle’s first crossover solo hit, reaching number 17 on the Billboard Hot 100 and becoming a signature song. “Stir It Up” found similar success on pop radio and as a staple in dance clubs. In 1985, LaBelle performed on the TV special, Motown Returns to Apollo and also as part of the all-star benefit concert, Live Aid. LaBelle’s notoriety from performing on these two specials made her a pop star and led to having her own television special later that same year. Also in the same year, a video of a performance from her tour of that year was issued on VHS. During this period, LaBelle ended her contractual obligations to Philadelphia International and signed with MCA Records. In 1986, LaBelle released her best-selling solo album to date with Winner in You with the album reaching number one on the pop charts. The album included the international number-one hit, “On My Own” and the hit ballad “Oh People”. The success of Winner in You would prove to be the peak of her solo success, though she continued her acclaim with the 1989 release of Be Yourself, which featured “Yo Mister” and the hit ballad “If You Asked Me To“, which found bigger success in a remake by singer Celine Dion. In the year of that album’s release, LaBelle began a successful stint in a recurring role on A Different World, the success of which spawned a brief sitcom of her own, titled Out All Night, which only lasted a season. In 1991, she recorded a hit duet version of the Babyface composition, “Superwoman” with Gladys Knight and Dionne Warwick. The trio had previously appeared in the Sisters in the Name of Love TV special in 1987. The same year of the release of “Superwoman”, LaBelle issued the solo album, Burnin’, which went gold, with three successive top five singles on the R&B charts. This success led to LaBelle winning her first Grammy Award in the Best Female R&B Vocal Performance category in the 34th Annual Grammy Award Ceremony of 1992, sharing the win with singer Lisa Fischer, who won for her hit ballad, “How Can I Ease the Pain“, in a rare tie in the history of the Grammys. LaBelle’s 1994 album, Gems, also went gold and featured the hit, “The Right Kinda Lover“. Three years after that, LaBelle released the album, Flame, which included the dance hit, “When You Talk About Love”. LaBelle released her best-selling memoirs, Don’t Block the Blessings, in 1996, and released the first of five best-selling cookbooks in 1997. In 1998, she released the live album, Live! One Night Only, later resulting in a second Grammy win the following February. It remains her most recent Grammy win. In 2000, LaBelle released her final MCA album, When a Woman Loves, before signing with Def Soul Classics to release the 2004 album, Timeless Journey. Following the release of her 2005 covers album, Classic Moments, LaBelle engaged in a rivalry with Antonio “L.A.” Reid over the direction of her career, leading to her leaving the label. In the same year, the World Music Awards recognized her years in the music business by awarding her the Legend Award. In 2006, she released her first gospel album, The Gospel According to Patti LaBelle on the Bungalo label, the album later peaking at number one on Billboard’s gospel chart. LaBelle also released the book, Patti’s Pearls, during this period. She returned to Def Jam in 2007 and released her second holiday album, Miss Patti’s Christmas. In 2008, LaBelle briefly reunited with Nona Hendryx and Sarah Dash as Labelle on the group’s first new album in more than 30 years, Back to Now. On September 14, 2010, LaBelle made a return two decades after her last Broadway performance to star in the award-winning musical Fela! about Afrobeat legend Fela Anikulapo-Kuti. LaBelle replaced Tony Award-nominee Lillias White as Fela’s mother, Funmilayo Ransome-Kuti, and remained with the production through the end of its run on January 2, 2011. On May 23, 2011, LaBelle appeared on “Oprah’s Farewell Spectacular, Part 1” the first show in a series of three shows constituting the finale of The Oprah Winfrey Show, singing “Over the Rainbow” with Josh Groban. LaBelle was honored with the Lifetime Achievement Award at the BET Awards on June 26, 2011. LaBelle and Aretha Franklin, among others, performed at the “Women of Soul: In Performance at the White House” concert hosted by President Barack Obama at the White House, recorded on March 6, 2014. On June 10, 2014, LaBelle returned to Broadway as the cast and creative team of the Tony Award-nominated smash hit Broadway musical After Midnight, welcomed her as “Special Guest Star”. In August 2014, it was announced that LaBelle would appear in a guest role on the upcoming fourth season of the FX horror anthology television series American Horror Story, subtitled Freak Show. On February 24, 2015, LaBelle was announced as one of the celebrities who would compete on the 20th season of Dancing with the Stars. She partnered with professional dancer Artem Chigvintsev. The couple was eliminated on Week 6 and finished in eighth place. LaBelle has consistently toured the United States selling out shows in various markets. In 2012 and 2014 she appeared with Frankie Beverly & Maze on cross-country USA tours. In 2015 LaBelle made a guest appearance on Fox‘s television series Empire as herself. She is scheduled to be a “key advisor” on the NBC series The Voice. In 1975, her eldest sister Vivian Hogan Rogers died of lung cancer at 43. In 1982, she lost her second-eldest sister, Barbara Holte Purifoy, to colon cancer at 40. In October 1978, she lost her mother, Bertha, to diabetes. In 1989, she lost her father Henry to emphysema brought on by complications of Alzheimer’s disease and her youngest sister, Jacqueline “Jackie” Holte Padgett, to lung cancer. Like Vivian, Jackie was also only 43 when she died. LaBelle dedicated her album, Burnin’ and her rendition of “Wind Beneath My Wings” in her 1991/92 concert tour to Padgett. After burying Padgett, LaBelle shot the music video to “If You Asked Me To”. LaBelle said because of her family dying early, she felt she wouldn’t make it to 50 and said she felt her life was born anew after reaching that age. In 1995, LaBelle was diagnosed with diabetes. LaBelle has a home in the Philadelphia suburb of Wynnewood and also has condos in Los Angeles and in the Bahamas. In June 2011, a West Point cadet filed a civil suit against LaBelle after he was allegedly assaulted by her bodyguards. LaBelle and her entourage were on their way to a gig in Louisiana when Richard King, a 23-year-old cadet on spring break, approached her limousine. Having been drinking, he then verbally assailed LaBelle and exchanged heated words with her son Zuri Edwards, working as her driver at the time. King punched Edwards, and Holmes stepped in, striking King several times. According to court documents, King’s intoxication level was almost 3.5 times the Texas legal limit that day. Initially, he could not remember what happened and authorities reported him as the aggressor, but no one from LaBelle’s team pressed charges. King was later given a suspension from the U.S. Military Academy. He sued LaBelle and Holmes for assault, seeking $1 million in civil court. LaBelle filed a counter-suit. Efrem Holmes, Labelle’s bodyguard, was acquitted of misdemeanor assault on November 12, 2013, a charge stemming from the 2011 incident at George Bush Intercontinental Airport in Houston, Texas. LaBelle made some headlines in late 2015 when a vlogger known as James Wright (No Chanel) spoke enthusiastically on YouTube of her brand of sweet potato pies. The video went so viral that one pie was sold every second at Walmart, selling out across the country. She also appeared in two Walmart commercials, one of which was for her sweet potato pie.